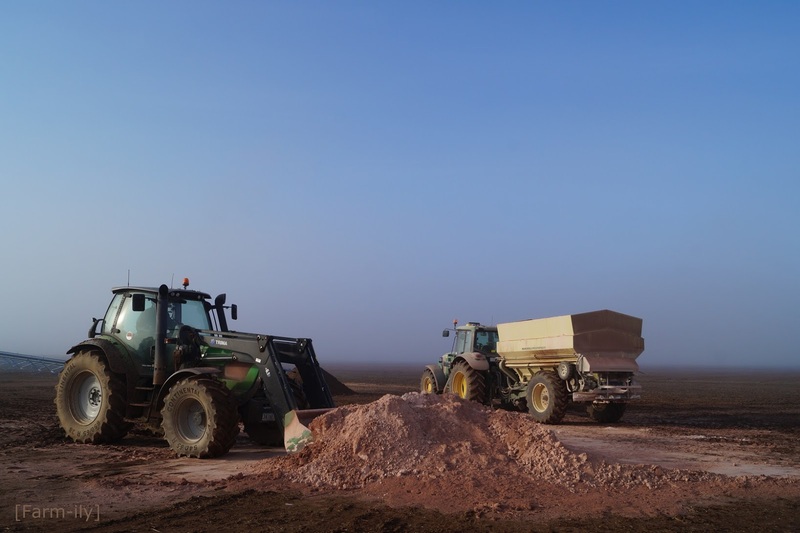 The last bit of the lime to spread. In a very much smaller way I have been spreading lime here too. By hand. You do capture the most incredible light in your photos. Keep them coming. We used to be able to get lime and waste paper mixed but I think they have banned it now. That was easy to spread. Wonderful timing of your photograph...it has a feel of being the only people in the world. How do you do that???? Absolutely amazing! I was going to say thank you for becoming my 300th follower - but somebody just left (it must have been something I said!) - so thank you for being number 299!! That looks familiar! I'm always amazed when our farm tasks compare, even half a world away.